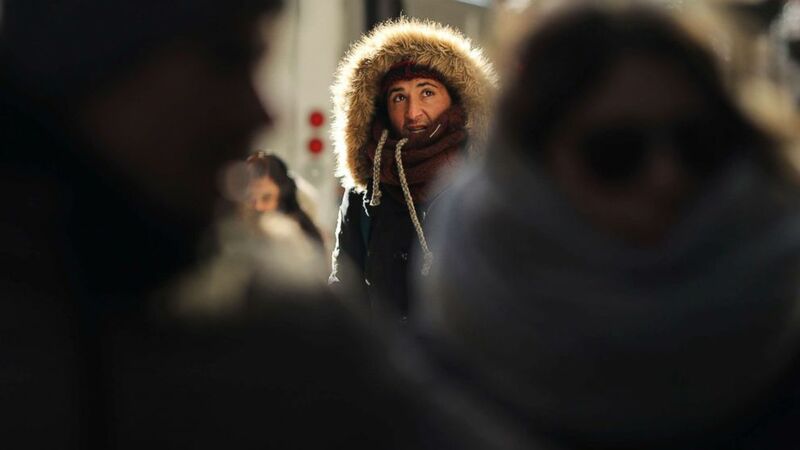 Here's what to know about staying warm and safe outside. A dangerous deep freeze is targeting the Northeast as cold temperatures continue without much relief in the Midwest. The wind chill in Chicago plunged to minus 52 on Wednesday -- the coldest wind chill since 1985. It was minus 55 in Minneapolis, also the coldest wind chill since 1985. Wind chills remained in the minus 30s in the Midwest Thursday as negative wind chills also struck New York City and Boston. Here is your cheat sheet for how to brave the frigid weather, from what to wear outside to what to remember when you're driving. This story was originally published the winter of 2017 - 2018. 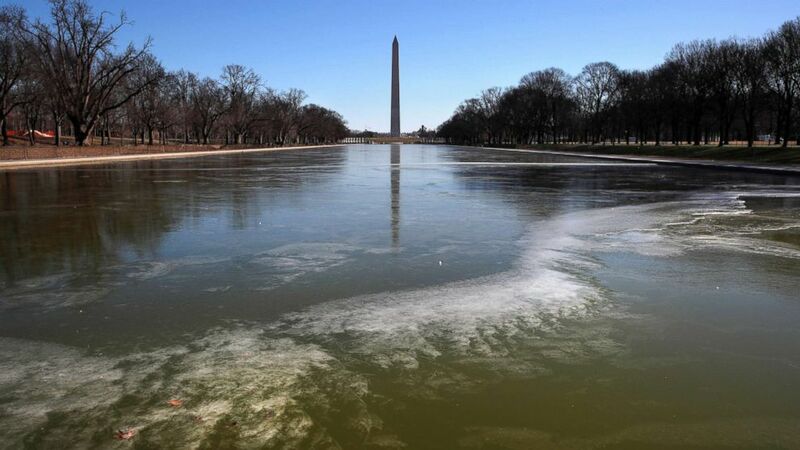 (Jacquelyn Martin/AP) With the Washington Monument in the background, the reflecting pool by the Lincoln Memorial begins to turn to ice during frigid temperatures on the National Mall, Jan. 21, 2019, in Washington D.C.
Those with prolonged exposure or those not dressed appropriately for the weather are in danger of frostbite and hypothermia, National Weather Service meteorologist Jay Engle told ABC News. 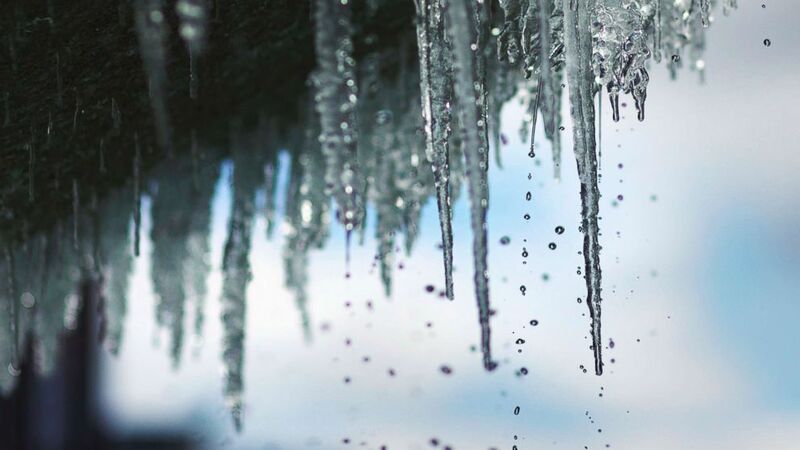 Frostbite results in the loss of feeling and color in affected areas -- usually the nose, ears, cheeks, fingers, toes or chin, according to the U.S. Centers for Disease Control and Prevention (CDC). Frostbite could potentially cause permanent damage and, in severe cases, can lead to amputation, the CDC said. (Spencer Platt/Getty Images) People walk through a frigid Manhattan, Dec. 28, 2017, in New York City. Someone suffering from frostbite can be unaware of it because tissues that become frozen are numb, the CDC said. These are all signs of frostbite: numbness, white or grayish-yellow skin, or skin that feels unusually firm or waxy. “Don’t rub your hands -- if you have frost-nip or frostbite, rubbing actually causes tissue damage," Dr. Randall Wexler, professor of family medicine at Ohio State University, told ABC News. 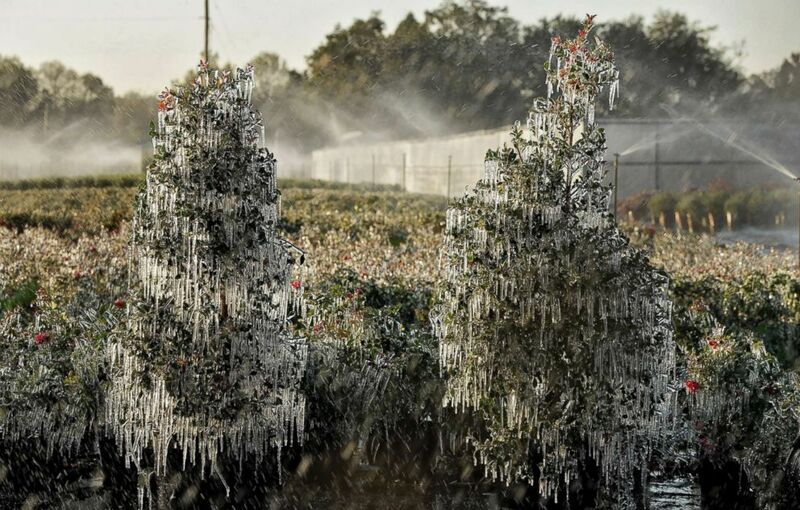 (Chris O'Meara/AP) A thin layer of ice covers ornamental plants, Jan. 4, 2018, in Plant City, Fla. Growers spray water on the plants to help protect them from extreme cold temperatures. If you think you are developing frostbite, “keep the area covered if you can ... because if you have frostbite on your hand and you pull off your glove, you may cause tissue damage," Wexler said. He added, "That’s also when you want to start trying to raise your core body temperature -- get rid of wet clothes, put on clothes that are warm and dry." There's also hypothermia -- or abnormally low body temperature -- which can impact the brain, "making the victim unable to think clearly or move well," the CDC said. "This makes hypothermia especially dangerous, because a person may not know that it’s happening and won’t be able to do anything about it." (Andrew Harnik/AP) A boy has his face bundled against temperatures in the teens on the National Mall, Dec. 28, 2017, in Washington. Warning signs for adults are shivering, exhaustion, confusion, fumbling hands, memory loss, slurred speech and drowsiness. Warning signs for infants are bright red or cold skin and very low energy, the CDC said. 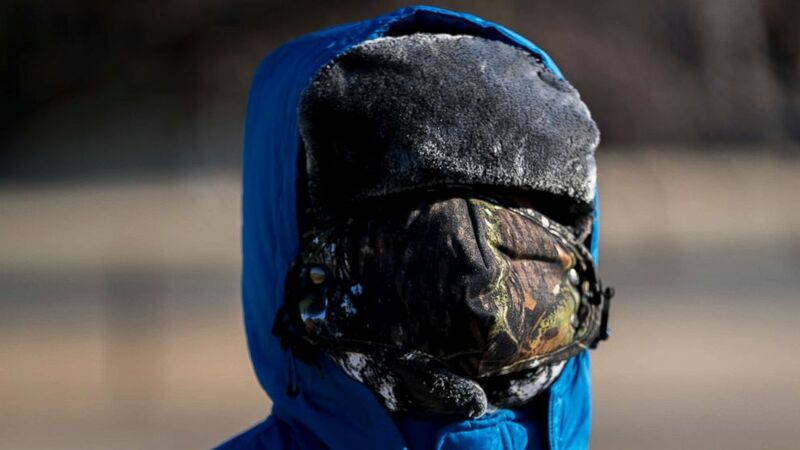 Engle recommends to “dress in three or more layers. One big thick winter coat tends not to do the trick. You have to have a thick sweater underneath and then a lighter jacket on top of that and then your winter coat." "People really should keep their heads covered because that’s where majority of heat gets lost," Engle added. Wexler said moving can generate heat. But try to avoid sweating. "If you are overheated and start to sweat, that lowers your body temperature and makes you more susceptible to cold injury," he said. "You want to be able to adjust your layers, zip and unzip." (L. Todd Spencer/The Virginian-Pilot via AP) Icicles hang from the fountain at Town Center in Virginia Beach, Va., Dec. 28, 2017. The young and elderly should be especially careful in the cold. “Their ability to maintain core body temperature is harder than mid-age and younger adults," he said. "Kids, especially babies, lose a disproportionate amount of heat from their head -- that’s why you want to have a hat on their head when you’re out there. Older people are more at risk simply because it is more difficult to regulate our core body temperature as we get older." It's also more difficult to maintain your core temperature if you are diabetic or taking decongestant antihistamines or certain blood pressure medications, Wexler said. 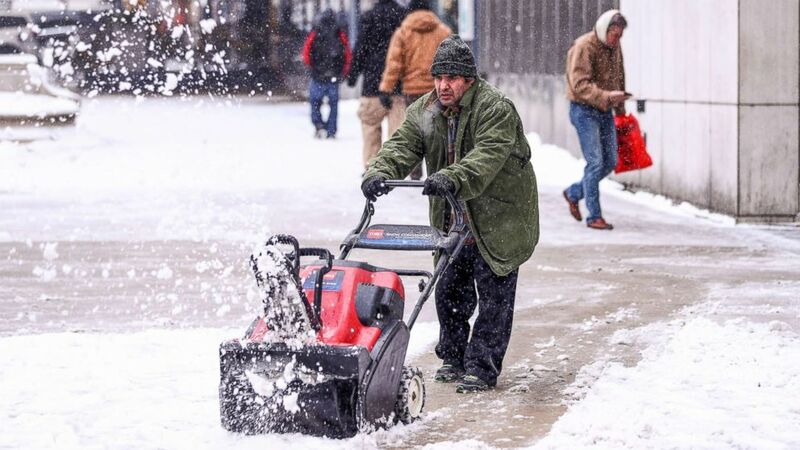 (Bilgin S. Sasmaz/Anadolu Agency/Getty Images) A man cleans a sidewalk with a snowplow during snowfall in Chicago, Dec. 24, 2017. When the temperature dips, getting behind the wheel can prove to be a challenge. Problems include dead car batteries, iced-over windshields, broken car locks and driving with no traction. 1. Before you hit the road, check under the hood. "If it's really cold outside, you want to make sure that your battery is going to be good in the freezing cold weather," Fordin said. "If you see any snow or blue stuff that's growing off your battery, that's an indication you want to go to the shop to have your battery checked." (Bilgin S. Sasmaz/Anadolu Agency/Getty Images) Cars, covered with snow, are seen during snowfall in Chicago, Dec.24, 2017. 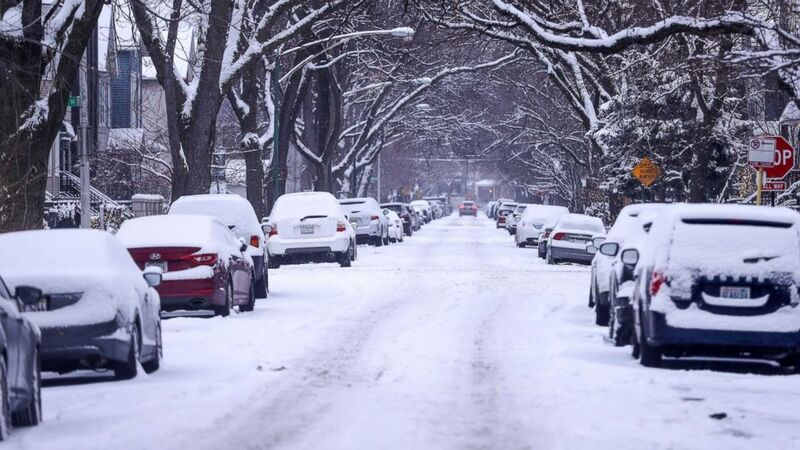 The most snowfall the Chicago area has seen on December 24 was in 1918, when more than 7 inches of snow accumulated. 2. Iced out windshields? Turn to your wallet for help. "If you get to your car and can't see, pull out a credit card, and you can just wipe that frost away," Fordin said. 3. Fighting a stubborn car lock? Get sanitizing. "If your lock is frozen put the sanitizer on the key, and then put the key into the lock," Fordin said. 4. If your car can't gain traction, let your floor mat give an assist. "Grab your floor mat, you're going to put it underneath the wheel," Fordin said. "That will give you enough traction to pull your car out and hit the road."